I've been playing around with a digicam off and on for a couple of years thinking of perusing photography on a more serious level. Right now I just take pictures primarily for my enjoyment and for use on my blog. A few years ago I purchased my first digital camera, a Kodak EasyShare, and couldn't stop taking photos of everything around me. I found that I really enjoyed the creative outlet that a digital camera fostered and I shot everything around me until that camera broke one day. Primary I took street photos of whatever I found interesting (buildings, architectural details) but for a while my passion was high contrast B&W because I found that I could mask the poor-ish quality of the Kodak EasyShare with that "style." In 2005 I managed to get a portrait I took published in Digital Camera, a UK based digital photography magazine. Not long after that the EasyShare broke and for a few months I was without camera and I fell out of love with photography for a while. The EasyShare, now a brick, sits on a shelf collecting dust a memento of my first "success" with photography. A couple of the B&W photos in my flickr account are from this time period. One day my brother asked my opinion on a digital camera he was looking to purchase and after he purchased the Sony Cybershot I found myself longing for a new camera. Luckily with a new camera in the house I didn't have to shell out money I didn't have and just borrowed his. Many of the photographs (and videos too) on my garden blog are taken with a Sony Cybershot. A few months back I purchased my first DSLR, Cannon EOS Digital Rebel XTI, and aside from the automatic functions I haven't really bothered to "master" it. When all I had was a digicam I wanted a DSLR so bad and now that I have one it is a bit neglected- awaiting someday when I have more time and life isn't kicking me in the shins. At the moment I create and sell some stock photos on ShutterStock and pick up small photography based projects here and there. It isn't making me rich by any means but most of the photos I sell on-line would just be sitting around. 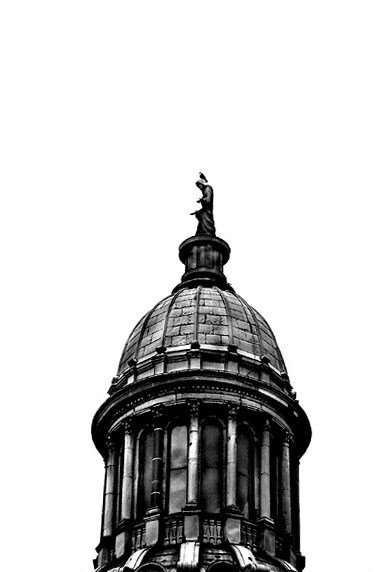 If you're a photographer, at whatever level, I recommend ShutterStock as they've been pretty good to me. If you're in the need of photographs of whatever kind drop me an e-mail and we'll see if we can arrive at an agreement that we're both happy with. Please don't just take photographs from the net and use them on your websites and blogs unless you have permission from the copyright holder. Yes, photography is very easy and any arthritic monkey could do it but that doesn't mean you can just take what you want. 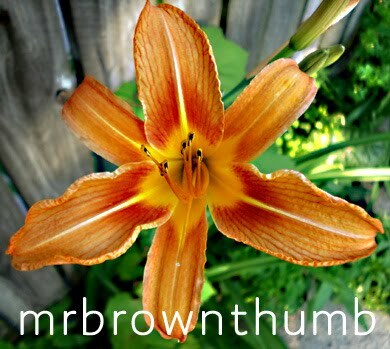 I've seen my photos on blogs and websites and for the most part I don't bother with trying to enforce my copyright because almost 100% of the photos I put on-line I mark with the name "MrBrownThumb." I do make exceptions though, like when I see people obviously profiting off my photos (eBay sellers, I'm looking at you!) without my permission and without me being compensated.